We didn’t really see this one coming. We knew Amazon was going to bring an unannounced project to Gamescom 2018 and we knew that they had more than enough licenses to choose from, but I will fully admit that this one blind-sided us a little. First of all, like New World, this game is in a pre-alpha state and isn’t close to being finnished. That said, I had some hands on time with the game and came away with mixed feelings which was admittedly better than the overwhelming feeling of confusion I felt when I walked into the room. The first question I, and I’m sure you are asking yourself, is ‘Why?’. Let me break it down as it’s not quite as outlandish as it seems. 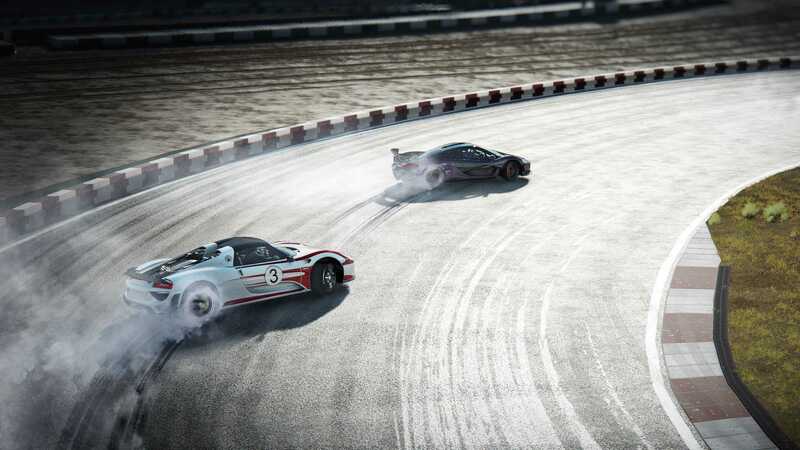 The Grand Tour game will follow the TV show in an episodic fashion. When Season 3 of the Grand Tour releases each TV episode week by week, an ‘episode’ of the game will be released on that same week with content that will follow the events of the show. That means if Jeremy Clarkson drives a Ferrari around Southampton then lights it on fire and drives it into the sea, you will be recreating this exact adventure in the latest episode of the game that launches when the TV episode airs. It’s an interesting model to base a game around. We’ve seen episodic content based on TV Shows before from Telltale Games, but nothing quite this immediate and close to a TV show. You will be getting a content release of the game right after the TV show airs (we didn’t get an exact time frame, but it was suggested it would be the same day). With the TV show as the focus it’s obviously a driving game. I played a brief extract from the first episode of Season 1 which featured footage from the TV Show with the game content being laid out in much the same way as the episode – including driving challenges along the way. So you’ll go from watching scenes from the TV show, to gameplay where you’ll be driving a car you’ve just been watching the team review. One of the more interesting aspects of the single player came when I was driving a BMW M2 around the ‘Eboladrome’, The Grand Tour’s test track. As I was competing for a fast lap time I had voice over from Jeremy Clarkson from the show, talking about the car I was currently driving. When taking a hairpin turn, the voice over talked about how the car handled better under breaking than the M3, and on the straight when I could build up speed I was told about the engine horse power and 0-60 speed in typical Clarkson fashion. All of this actually came together surprisingly well and for fans of Top Gear, the Grand Tour, cars and racing games this could be quite interesting. The developers were keen to show their focus on split screen. Yes, remember when you used to share a screen with your friends on the sofa? That’s back. I hadn’t done this in a while but I found it pretty enjoyable to play a racing game against 3 other people sitting next to me. We were all in BMW M2s going around the ‘Eboladrome’, bumping into each other and generally having a good time. There were some parts about the game that I found a bit less enticing or straight up confusing. In the multiplayer we had Mario Kart style powerups with ballons on the track that gave you a boost, or an ability called ‘Texting while driving’ that would spam a load of random letters across the screen of your nearest opponent while they drove. This felt slightly confusing to say the least, but much in the style of The Grand Tour itself, was slightly wacky. The driving to me felt pretty standard, if you’re a driving game fanatic then I doubt this is going to compete with Forza 4 for your extended attention. The game handled well enough and the cars slide around corners in a satisfying way, but it wasn’t anything special. 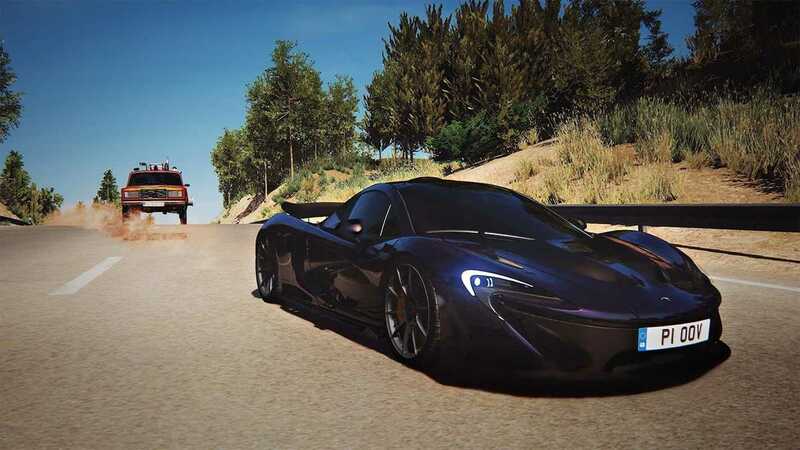 I must stress that this was pre-alpha before I say this, but if you stripped away the Grand Tour brand from the game this would just feel like a third rate driving game with a wacky voice over. 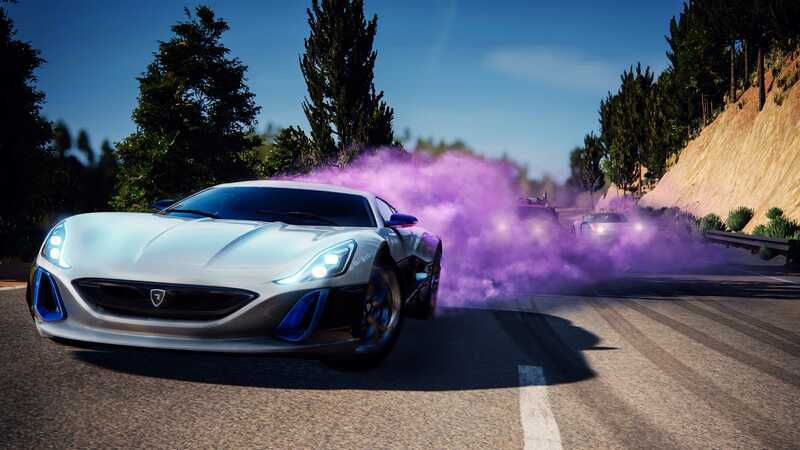 I think the game should be able to stand up on its own aside from the Grand Tour brand, and in its current state I don’t feel like it did. With the focus on split screen I asked about online multiplayer out of pure habit. My question was met with a non-committal shrug. I will admit that floored me slightly. 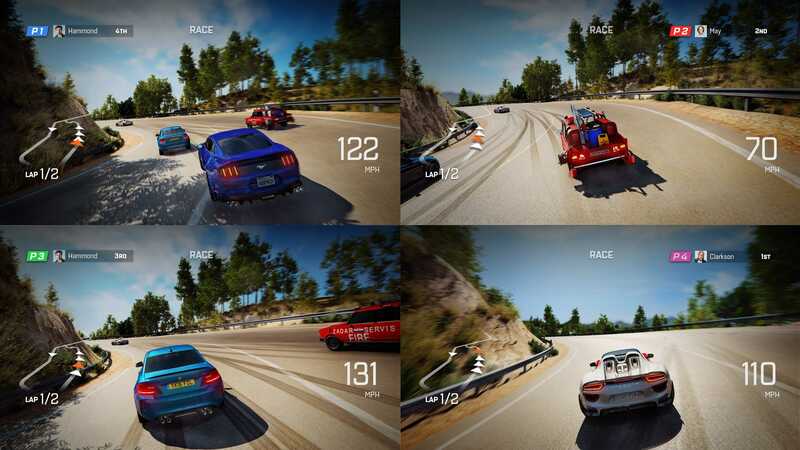 A driving game designed to play with your friends without the ability to play online in 2018 seems like an interesting decision, but there may be technical limitations or something I’m certainly not aware of. Either way it really is a staple these days. Amazon plan to sell this game by the season so you’ll be buying a season pass to play alongside the current season of The Grand Tour. There is no word on how much that will be yet but it certainly shouldn’t cost the earth. SHOULD I BUY THE GRAND TOUR GAME? This is certainly an interesting concept, and at least you have to hand it to Amazon for actually trying something new. Fans of The Grand Tour (of which there are many) will like it and it’s great to play with a few friends. However, the game itself didn’t really seem like anything special and it’s probably going to struggle outside of a core audience. The non-confirmation of multiplayer is a head-scratcher too. I think the important thought to stick with is would this game stand up on its own as a racing game without the Grand Tour brand behind it? From what I’ve seen, I don’t think so – but the Grand Tour certainly is a big brand to hold, so perhaps that will be enough to see this game through. Copyright © 2014 - 2019 SocksCap64, All Rights Reserved. Logos, Trademarks, Pictures Belongs To Their Respected Owners. Powered By WordPress. 80 Queries in 0.383 seconds.